Offering fun pet essentials that fit into modern homes, the Totally Pooched and Totally Catty brands are bright, irreverent, and contemporary. 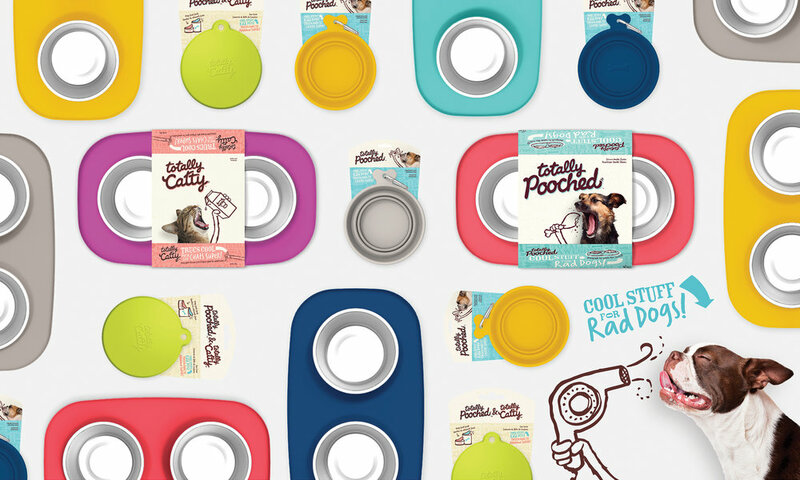 Messy Mutts challenged Enlisted to create unique, cohesive branding inclusive of logo, color palette, and retail packaging for their new line of dog and cat products. The brand needed to be fun, approachable, and fashionable. Enlisted leveraged quirky pet personalities, overlaying photography with whimsical illustrations. We also developed product and brand colors, illustrations, logos, and an extensive packaging system.